Wide angle autofocus zoom. 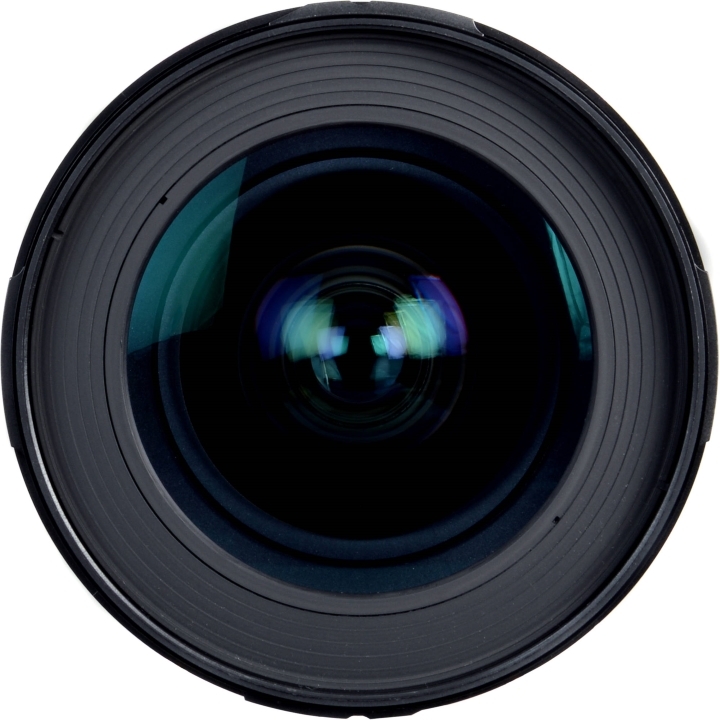 When used on the film 645D the angle of view corresponds to a 26-44mm lens in the 24x36 format. It is a good lens for sweeping landscape photos. It features SMC (super multi coating) to increase the amount of light transmitted by the lens, ghost-less coatings and it contains 2 aspherical lenses for sharp pictures across the scene. 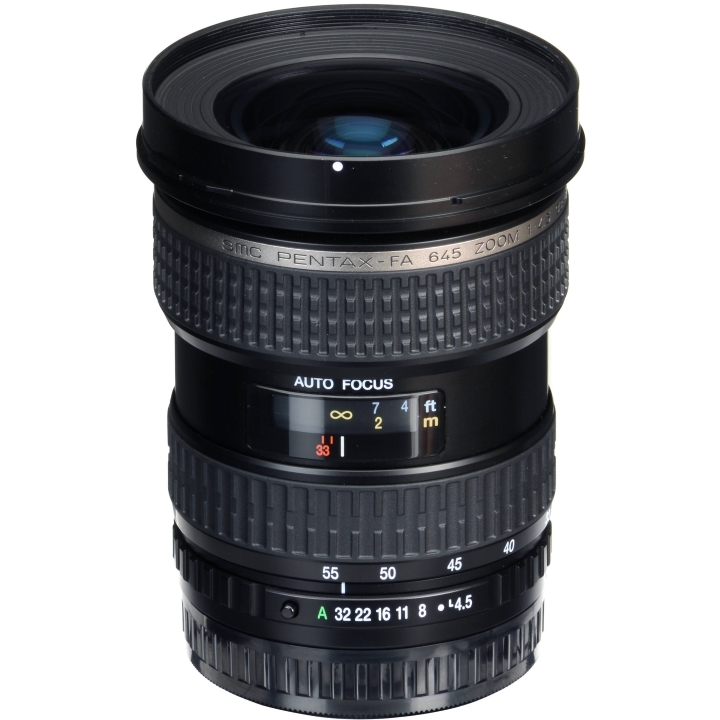 The 33-55mm features a lens construction of 11 elements in 8 groups, including some high refraction low-dispersion glass. To maintain image quality, it uses a 3-group floating zoom to reduce field curvature throughout the range. 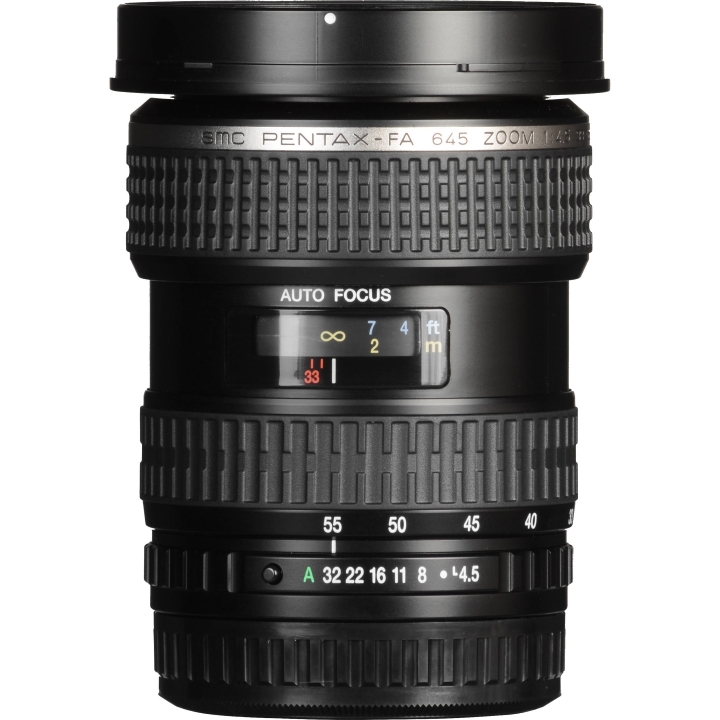 Also, the 33-55mm has a minimum focus distance of 15.7". 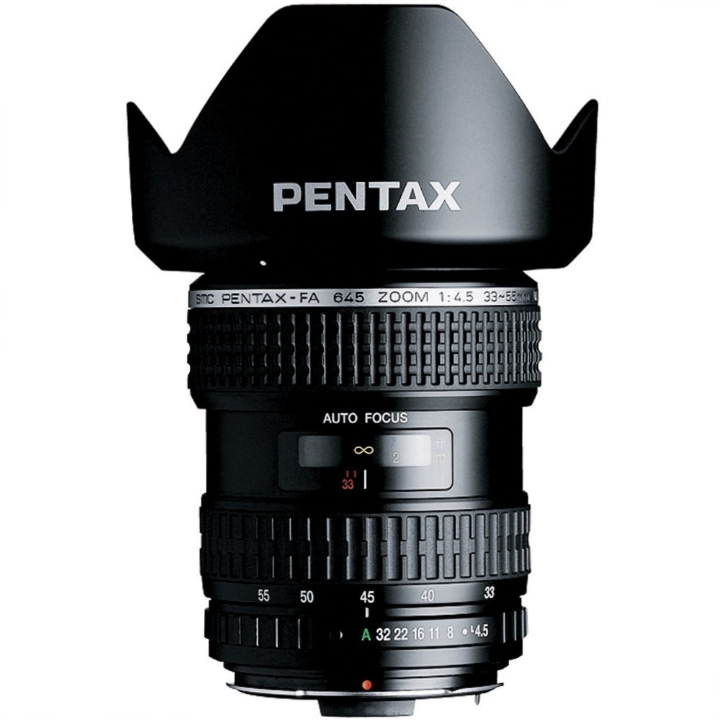 For smooth out-of-focus areas, the lens has an eight blade aperture diaphragm. Additionally, it features an 82mm front filter thread. Minimum focusing distance throughout the zoom range is 15.7"